The description is based on the instructions for use, patient feedback and the results of clinical studies. insufficient levels of testosterone in the blood. Testosterone is also involved in the synthesis of certain proteins and the regulation of nitrogen, sodium, chlorine, phosphate and water levels in the urine. 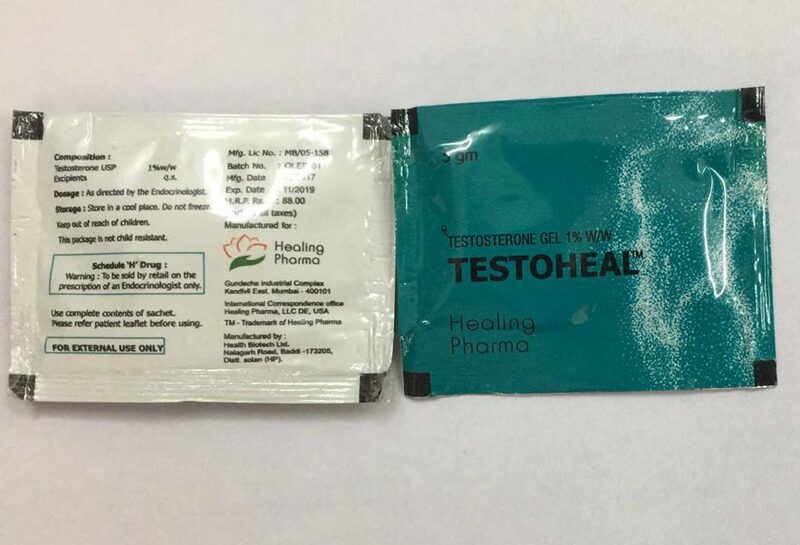 Testoheal Gel is packaged in sachets, which contains 5 grams of gel and 50 mg of testosterone, respectively. This is just the daily dose of this hormone. That is, you will use 1 sachet per day. Patients with impaired renal or hepatic function should use reduced doses of the drug. After starting treatment with a blood test, testosterone levels are determined. If necessary, the daily dose is increased up to 100 mg (2 sachets) per day.